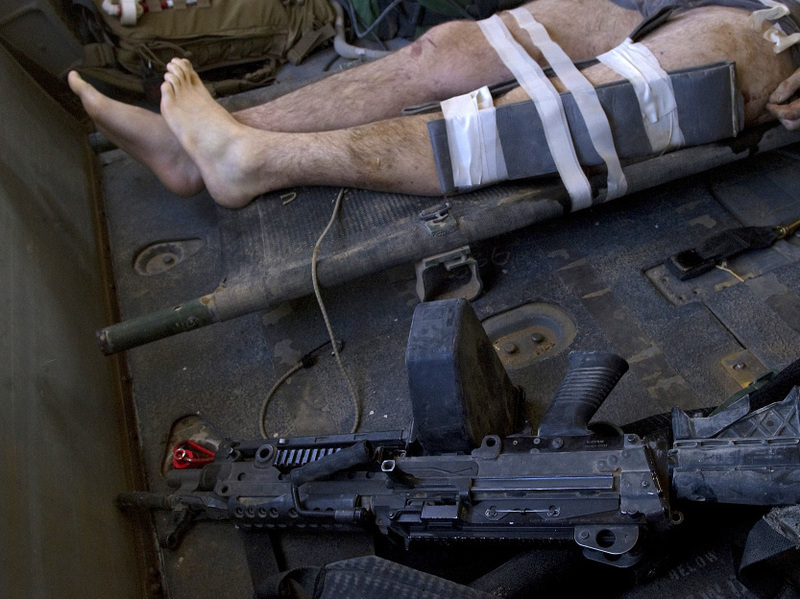 For Military, Different Wars Mean Different Injuries For troops in Iraq and Afghanistan, a former military physician says, bullets aren't the main threat. Bombs are. And that means military medicine faces a host of new challenges. By Ronald J. Glasser M.D. 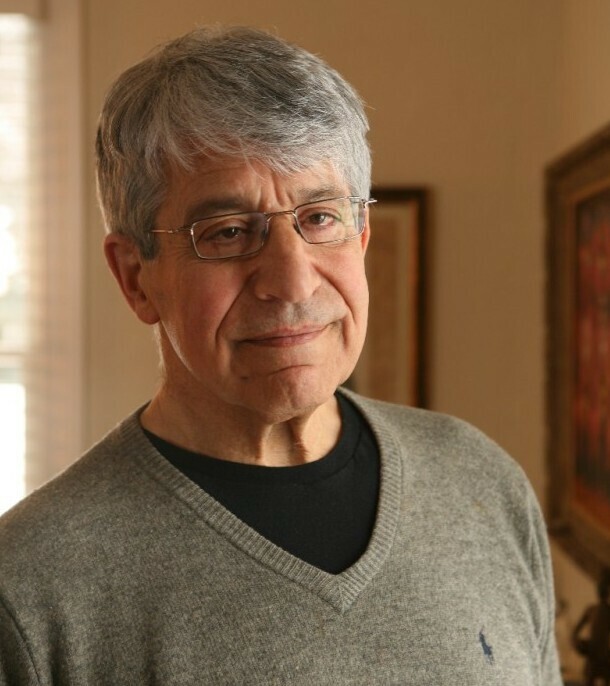 Courtesy of History Publishing Co.
Ronald J. Glasser is a graduate of Johns Hopkins University and Medical School and currently lives in Minneapolis. 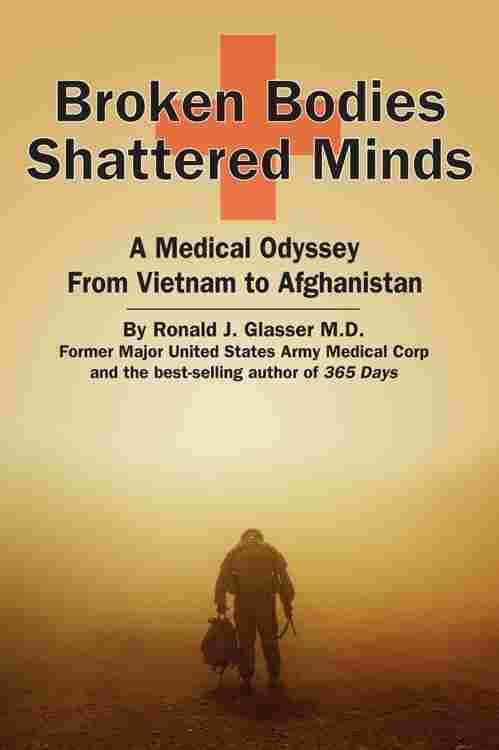 There's a new type of tourniquet being issued to every Marine in Afghanistan, former military physician Dr Ron Glasser writes in his new book, Broken Bodies Shattered Minds: A Medical Odyssey from Vietnam to Afghanistan. It's called a combat action tourniquet — essentially a plastic cinch soldiers pull to tighten. Marines, without anyone ordering them to do so, have begun heading out on foot patrols with the tourniquets already loosely strapped around their thighs, so they can be tightened quickly if a foot or a leg is blown off. "They view it has a kind of defeatism on the part of the troops," Glasser tells weekends on All Things Considered host Rachel Martin. The officers feel that by wearing the tourniquet, Marines are resigning themselves to the fact they'll be wounded. "But the Marines don't care," Glasser says. "The basically say, 'The hell with it. We're going to wear it anyway. If our legs get blown off, at least we'll survive.'" The tourniquet's use in Afghanistan highlights what Glasser says is a fundamental difference between modern warfare and Vietnam, or anything that preceded it. That difference is increasingly challenging for the world of military medicine. "In Vietnam, you were shot," he says. "In Afghanistan, you're being blown up." The biggest threats troops face in Iraq and Afghanistan are landmines, improvised-explosive devices and other roadside explosives, Glasser says. "And it's a misnomer," he adds. An IED made with .355 mm shells wired together in a butane canister generates a 7,000 degree Fahrenheit blast wave that travels at 14,000 feet a second and can overturn a 60-ton M1A1 tank. "It's hardly improvised," Glasser says. Even cutting-edge body armor that protects from the side, front and rear does little to protect against explosives that are so often buried in the ground. "So when you get your leg blown off, the chances are that you're going to have a genital injury," Glasser says. "And the understanding of this throughout the military is quite substantial." So substantial, he says, that male troops shipping to Iraq and Afghanistan are given informal recommendations to store their sperm. "The Army doesn't recommend it, nor does the Army like having anybody hear about" it, he says. One important medical success to come out of Afghanistan and Iraq, Glasser says, is the connection between traumatic brain injury and post-traumatic stress disorder — and the recognition that PTSD is not a psychological injury but a physiological one. "In our Civil War, it was called 'melancholia' — this desire for home," Glasser says. "Then it became 'the irritable heart,' because the soldiers were shaking." In World War II, it was "combat neurosis." And though the military is exercising more diligence in its diagnosis and treatment of PTSD, Glasser says, it's still "overwhelmed" by the number of cases — partly because of the wide use of explosives and resulting cases of TBI. "There are groups of Marines — three or four deployments — where everybody has been exposed to an IED," he says. "If you're standing 20 meters away from one, you're going to get your head rattled." With the increased awareness of TBI and PTSD, Glasser says medics in particular may be more likely to recognize their own psychological scarring. "But it's tough," he says. "It's tough to admit that you can't sleep at night. It's tough to admit that when a car backfires, you really get scared." One reason there are more soldiers returning home with symptoms of PTSD is that more soldiers are returning home. 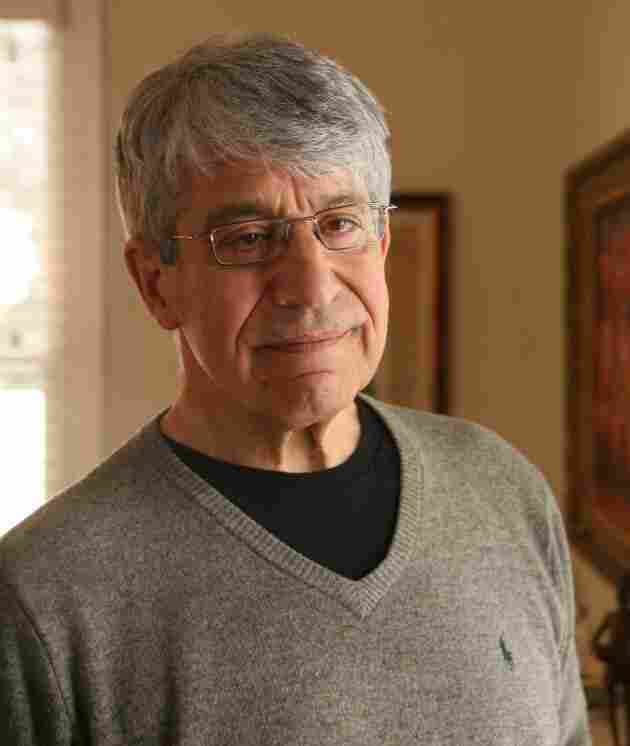 In Vietnam, Glasser says, there were 2.4 casualties for every death. Today that ratio is 16-to-1. "That's the reason the VA is being overwhelmed," Glasser says, referring to the Department of Veterans Affairs. "Nobody expected 16 casualties for every death." Those added survivors, though, have contributed to the growing body of research linking brain injury and mental disorder. Glasser, still a practicing physician, says that's something that will benefit all of medicine. 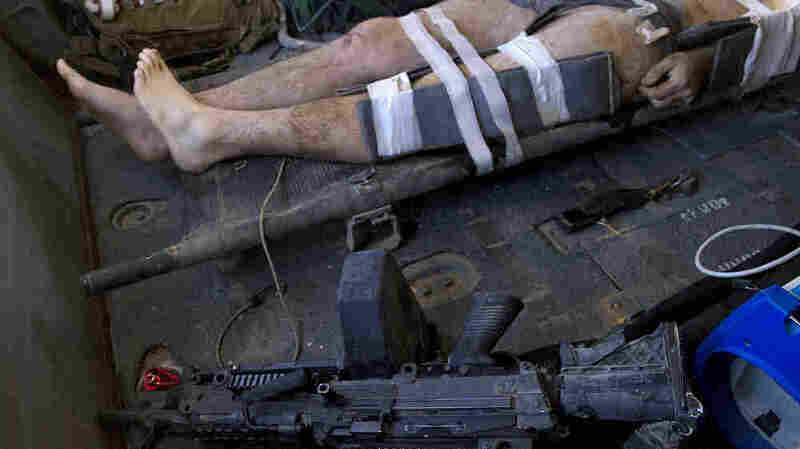 "But it also goes to show — different wars, different tactics, different injuries," he says. Armies are fragile institutions, and for all their might, easily broken. 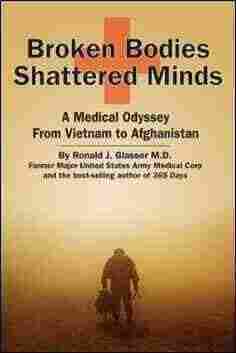 Psychiatry and psychology have never had an easy time of it in the military. It is hard to convince an army that you are injured when there are no visible wounds. But there is a toll to wars that has not gone unnoticed. During the early years of World War II, one of every four soldiers evacuated from a combat area was med-evac'd out as a neuropsychiatric patient. Approximately half of the medical discharges granted during those years were for psychiatric disability. Whatever else might be said about the battlefield, it is a fearful place, not only for the brain but also the mind. No army is willing to admit that war is a frightening, and at times, terrifying business. Going into battle or being in a firefight the first time is difficult enough. Doing that same thing over and over again can become an impossible task. During the Marines' brutal December winter retreat from the Chosin Reservoir in Korea, an exhausted and freezing marine huddled in a fox hole was asked by a correspondent what he would like for Christmas, which was the next day. The marine answered simply, "Tomorrow." The military understands that kind of dread and foreboding. The best of the field grade and general officers, remembering their own times on the front lines, continue to feel it themselves. It was clear to those who knew of General Norman Schwarzkopf 's history as a twenty-four-year-old captain in Vietnam and adviser to a South Vietnamese Ranger Battalion, that his refusal, during the 1991 Persian Gulf War, to let the Marines land on the heavily-mined beaches of Kuwait, was because of his own paralyzing experience in the Central Highlands of Vietnam. In the spring of 1965, he and a company of South Vietnamese Rangers walked into a VC minefield during a night attack. The first they knew they were in a minefield was when Rangers started blowing up across the skirmish line. Those who survived the initial blasts, including the future General of the Army, had to work their way inch by inch, slowly and painstakingly, on their bellies, feeling in the darkness with knives and bayonets for a wire or detonator, friends and comrades dying around them. It took those who survived, including Schwarzkopf, all of the night and part of the next morning to clear the field. When asked by a reporter at a press briefing following the first days of Desert Storm why he had not let the Marines come ashore, Schwarzkopf snapped angrily, "Have you ever been caught in the middle of a mine field and had to work your way out of it?" Schwarzkopf, as Commander and Chief, was simply not going to let his Marines go through what he had gone through some forty years earlier. Instead, the Marines were used solely as a decoy. General Schwarzkopf remembered. Everyone in combat remembers. The only question is how personally they remember and how deeply. Yet, no army wants to lose its soldiers because of something as universal and as apparently vague and personal as fear. It is not a soldiers' fear that worries the military. Everyone who has been in combat understands that much about war. What worries the military is that the individual fear might spread and become a kind of contagion that will lead to large numbers of troops simply giving up or refusing to go forward. In the same way that physical wounds are easily seen and easily explained, military leaders have always tried to dismiss the anxiety and desperation of the battlefield as something physical. They have explained away those fears as something that happens to soldiers; something that is palpably real and not something that is either fanciful or what soldiers do to themselves. It is explained away as something physical, it is treatable, not something that can mysteriously spread to other soldiers. The Greeks took a more reasoned, as well as a more humane view. In the Fifth Century B.C, the Greek historian Herodotus tells of a Spartan Commander who excused soldiers, though of proven bravery, who were "out of heart and unwilling to encounter danger." Herodotus also mentions a soldier called "The Trembler" who hung himself after a major battle. At the beginning of the Civil War, the first war after the industrial revolution, where there was universal slaughter on an industrial scale, thousands of Union soldiers were suddenly diagnosed as suffering from nostalgia. It was a term coined during the Seventeenth Century to describe psychiatric disorders being experienced by civilians when they were far from home, but was quickly generalized to mercenaries, and then regular armed forces fighting distant wars. The idea was generally held by physicians during our Civil War that a soldier from Pennsylvania marching through Texas or Georgia could become so homesick that he would suddenly become dysfunctional. But as our Civil War continued, the ferocity of the fighting grew worse and the carnage ever greater, with tens of thousands dying or being wounded within hours of the beginning of a major battle. An increasing number of soldiers, unwilling or unable to continue to go forward or becoming lost in the middle of the chaos and bloodshed, stirred the military and its physicians to find something more dramatic to blame as an answer for the trembling and fear than simply being homesick. Those soldiers were finally given a definitive physical diagnosis. They were suffering from an "Irritable Heart." No need for magic here; no need to conjure up missing familiar places, malingering, satanic possessions, or cowardice. No need for any sense of personal failure or public embarrassment. The problem, whatever the symptoms, was clearly physical, the end result of an overly-stimulated heart. When the hearts of these men were examined, the hearts were indeed racing. The shift in "diagnosis" did not make sense. Even to the most casual observer, the bizarre behaviors, including the psychological symptoms of depression, agitation, inability to sleep, mental confusion, and terrible startle reactions, appeared to have little to do with the actions of an ailing heart. In World War I, that diagnosis was changed. The explosions themselves were said to create "shell shock." By 1915, those soldiers, shaken and trembling, removed from the brutality of the trenches, but still filled with dread, unable to sleep as well as to function when awake, were given the diagnosis of "shell shock." The medical focus had finally shifted from the heart to the brain and central nervous system. By the beginning of the Twentieth Century, damage to the brain made more sense. The brain had clearly been damaged, shocked by the close proximity to the ongoing and unrelenting barrages of exploding shells that had become so much a part of this new kind of static trench warfare. Those blasts were enormous and they were continuous. If a soldier came out of a battle or bombardment unwounded, but disoriented, paralyzed with fear, or simply unable to go on, he was diagnosed as having been too close to the shelling. The symptoms were the result of neurological damage caused by exposure of the body to the created shock waves. The blasts themselves didn't have to be explained. After all, anyone under a bombardment could feel the force of the exploding shells. There were documented deaths in the Civil War and during World War I from artillery bombardments where the soldiers were found dead without any obvious wounds. If large explosions could actually kill a soldier without leaving a mark on his body, then certainly smaller blasts could injure the body's most delicate organ, the brain. The diagnosis was obvious. The soldiers' brains had clearly been seriously rattled. It was, of course, a handy theory. If the shell-shocked patient recovered, the concussion had not been very severe. If the soldier did not fully recover, the damage was considered to be more extensive, but not severe enough to be permanent; if the patient never improved, the initial injury had been severe enough to be irreversible. If the patient intermittently lapsed back into bizarre or depressive behaviors, the damage was said to lie somewhere between the two different extremes. Once again, the importance of a physical diagnosis was that the soldier himself was not at fault, while the army, the family, and the country were spared the onerous task of accusing one of their own of cowardice. Yet, during the "Great War," even that diagnosis did not stop some three hundred British soldiers, many clearly suffering from "shell shock," from being executed for cowardice. Though in 2006, the United Kingdom did finally grant those soldiers, and of course their families, posthumous pardons. Still, it was difficult to admit to the crippling psychological effects of the battlefield during the Civil War, World War I, World War II, Korea, or Vietnam, as it is now. Like all parts of medicine, from infectious diseases to neurosurgery, psychiatry too — along with its theories of mental illness — developed and progressed throughout the 1920s and 1930s. Faced with the new understandings of psychology, less fashionable ideas about battlefield stress were proposed, though there remained the desire to maintain a completely physical version for those soldiers who simply could not continue. And for another sixty years, the physical explanations won out, even though symptoms continued to occur in soldiers not exposed to exploding shells nor those who had not been involved with sustained combat. In World War II, the symptoms, along with the diagnosis of "shell shock," simply and quietly morphed into "battle fatigue." Fear and anxiety was now the result of physical exhaustion, of having been out in the field too long. A little rest, a little R & R and all would be well again. In 1943, U.S. Army Lt. General George Patton visiting wounded soldiers in a hospital in Sicily, asked a wounded soldier to describe his injuries. When the soldier explained that it was "his nerves," the General slapped him across the face and called him a coward. It is a view that continues today, among those officers and enlisted personnel, who despite severe symptoms of PTSD, refuse to seek medical or psychological help for fear it will detrimentally affect their military careers. Still, the idea of battle fatigue was carried forward into Korea, with its hard hills and even harder winters, morphing within a year of the beginning of the conflict into "combat exhaustion." Sleep deprivation was now presented as a large part of the whole picture. Once again, there was nothing ominous or mysterious going on. Once again, exhaustion was something that was understandable and acceptable to those afflicted, to the culture, and to society in general. The stress of war was nothing more than fatigue, exhaustion, sleep deprivation, and a difficult job. Everyone could relate to that. With the successes of Freud and the psychoanalytical movement, the diagnosis of "combat neurosis" began to creep into the military vocabulary, having replaced "combat exhaustion" by the time of Vietnam. There were now concerns about personality disorders, deep-seated anxieties, and unresolved childhood conflicts. The conviction grew that there was something more complicated going on here than mere fatigue or exhaustion. It was believed that the routine short-term evacuation of these "stressed" patients from the front lines was not part of the cure, but a large part of maintaining, as well as adding to, the symptoms. Guilt at evacuation, of not doing one's duty, of leaving friends and colleagues to fight on alone, was believed to play a major role in fixing the physical, and what were finally realized to be the psychological, signs and symptoms of the disorder. The psychoanalysts proposed that soldiers surviving, while others died, could and did turn a few minutes of doubt, panic, and finally guilt into lifelong disabilities. It was considered best to treat these soldiers as far forward on the battlefield as possible, to maintain unit identifications and that, above all else, treatment was always to include the unwavering expectation, no matter how apparently tragic or disabling the symptoms, that these soldiers would be returned to duty as soon as possible. The emphasis was to be placed on the previous health of the patient and not on the symptoms, on the soldier's ability to ultimately cope, and when appropriate, to acknowledge that for everyone the battlefield was indeed a difficult and scary place. There was clearly a mind to be considered now, as well as the brain. Excerpted from Broken Bodies, Shattered Minds by Ronald J. Glasser M.D. Copyright 2011 by Ronald J. Glasser M.D. Excerpted by permission of History Publishing Company LLC.